Welcome back to Learn All About Horses. Sorry I am late with this edition. Life sometimes interferes with our best plans. Shade, my Palomino colt, is four months old. Sometime within the next two months, he will be weaned from his mother. Weaning foals properly is important for the well- being of both mare and foal. This edition features an article that addresses major weaning issues. I hope you find it informative and useful. 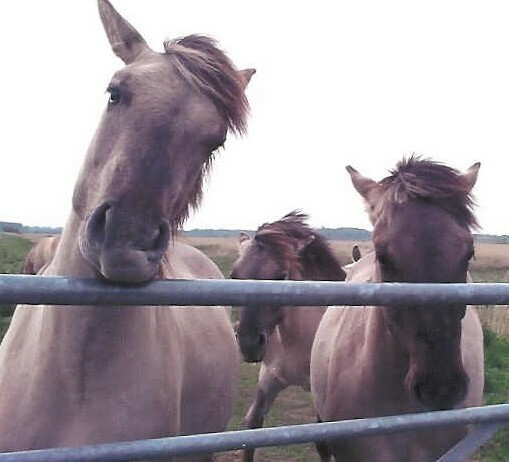 This article on weaning is also provided by Oklahoma State University and written by David W. Freeman, Equine Extension Specialist and Steven H. Slusher, Professor of Veterinary Medicine and Surgery. Click the link for the complete article. For horses, management of the weaning process should promote the safety and well-being of the mare and healthy growth of the foal. Stress during the weaning process can increase the incidence of injury to the mare and can negatively influence reproduction. Unless properly managed, weaning stress can increase the incidence of injury, disease, and irreversible growth disorders in the foal. Managment considerations that must be considered before, during and after weaning include stress reduction, creep feeding preweaning nutrition, overall health of the foal, age of the foal, methods of weaning, and the welfare of the mare at weaning time.